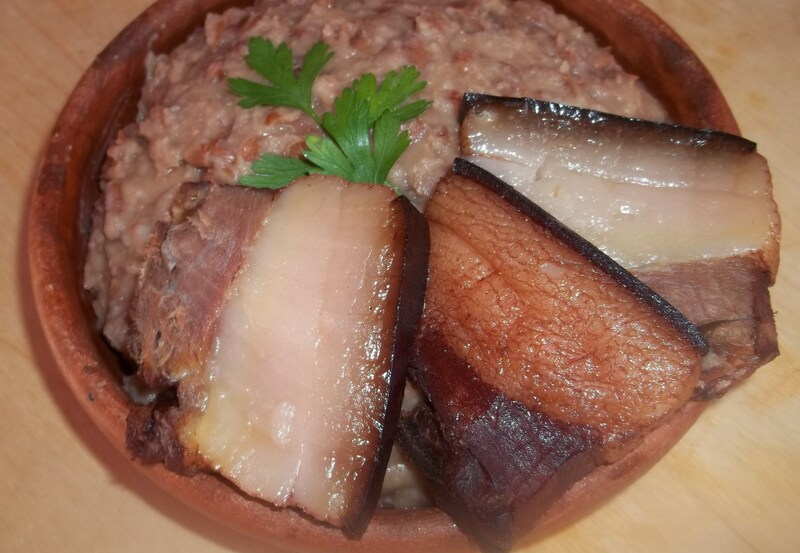 Lobio (Georgian: ლობიო) is a popular Georgian dish made with kidney beans and usually eaten with Mchadi and marinated vegetables. The Georgian word ‘lobio’ means ‘beans’. 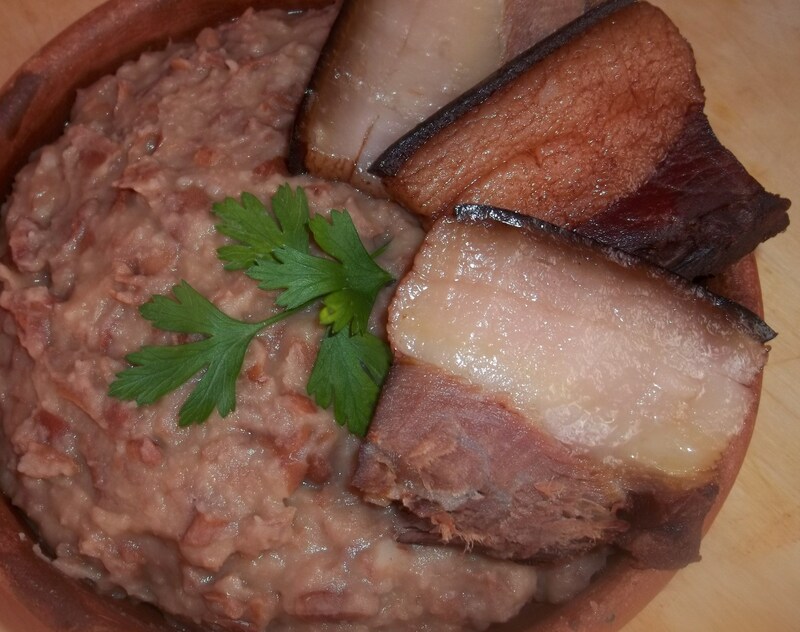 There are a number of varieties of this dish and in this recipe we show how to make mashed lobio with ham. 100 grams of pork fat (or butter) and 400 grams of ham. 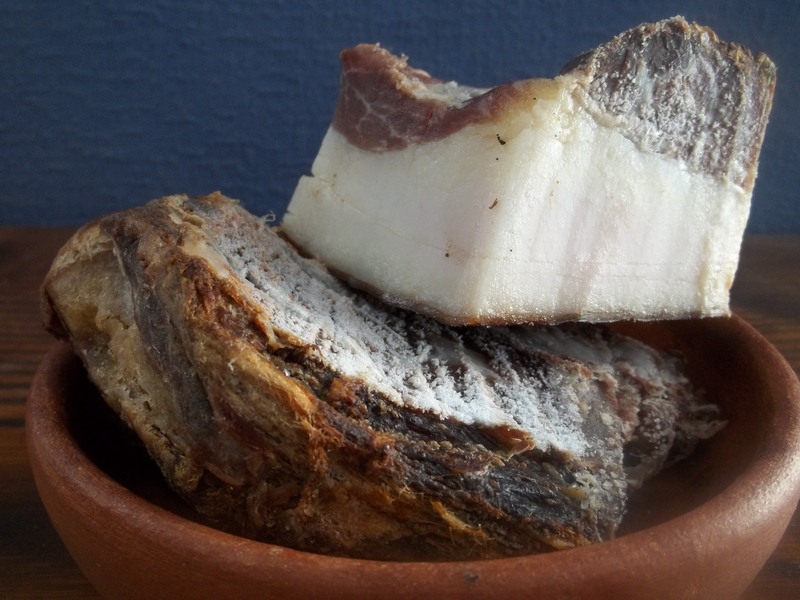 We used smoked ham from the Racha region of Georgia (Georgian: რაჭული ლორი). This gives the beans a very special flavor. 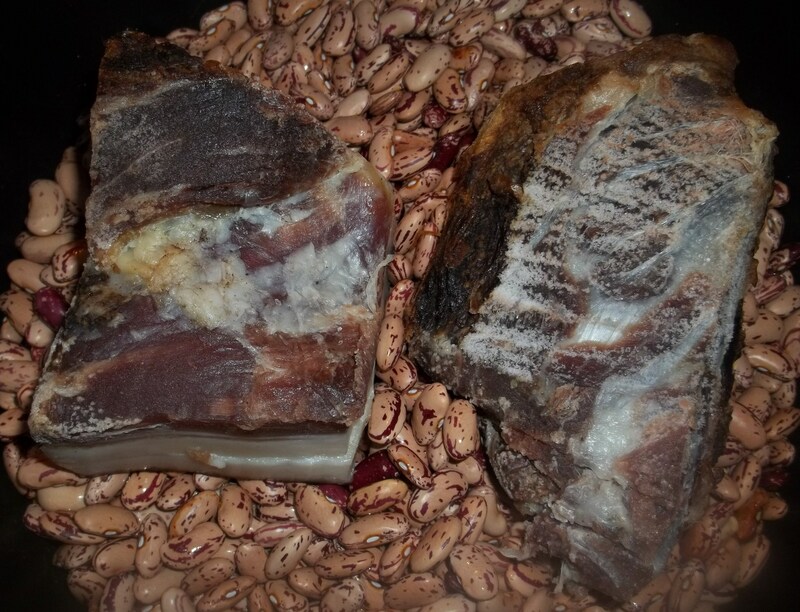 Boiling the beans with ham is a tradition of people in Racha and is considered to produce the best lobio. 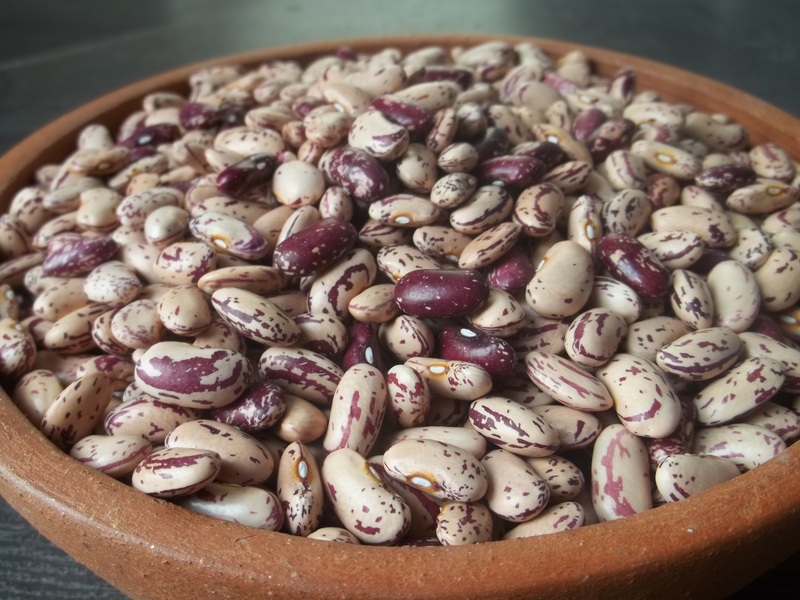 Preparation: Soak beans in a deep cooking pot of cold water for two hours prior to cooking. When ready to cook, drain the water and add the ham, a little salt and 1.5 liters of fresh water. Cook on a medium heat until the beans are tender. 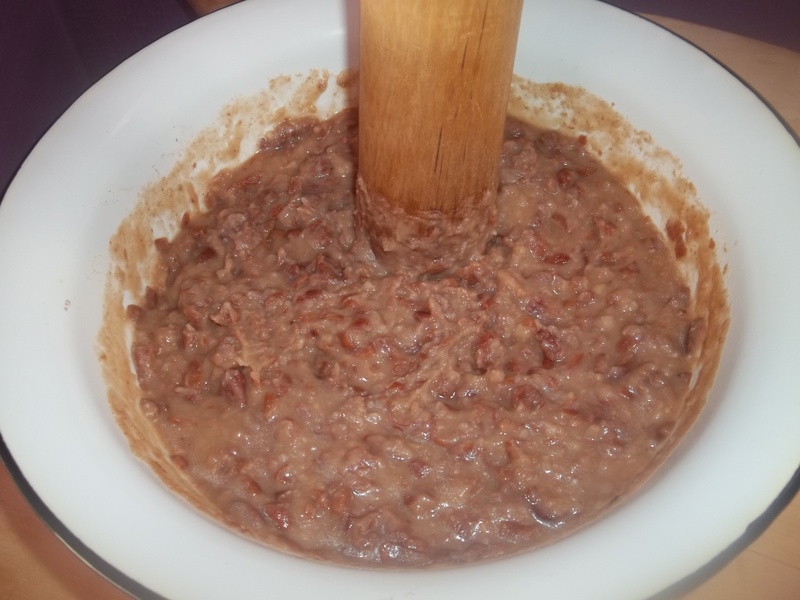 When the beans and ham are cooked, transfer the beans to a mixing bowl. Add the pork fat (or butter) and use the back of a wooden spoon to mash the ingredients. 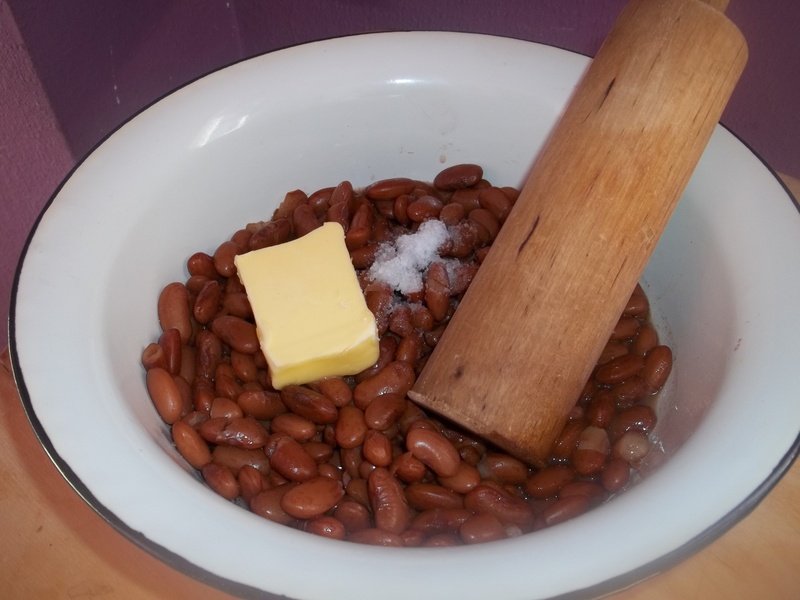 If necessary, use a little of the water that the beans were cooked in to achieve the right consistency. The mixture should look like the picture below. Taste, and add a little salt if necessary. Serving: Serve hot, together with the cooked ham. Enjoy your mashed lobio with ham!